This fuchsia patent pump ticks all the boxes to make it a staple to every shoedrobe. 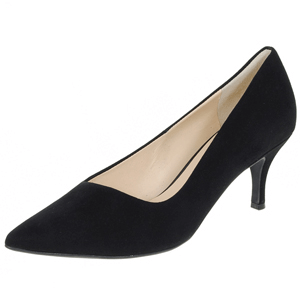 The rounded toe adds elegance, the 10cm stiletto heel gives you a flattering silhouette and the 1cm platform at the front gives extra comfort. The Tamaris padded ‘touch it’ footbed responds to the individual shape of your foot ensuring ideal comfort. As it’s such a simple look, this shoe can be combined with any outfit.